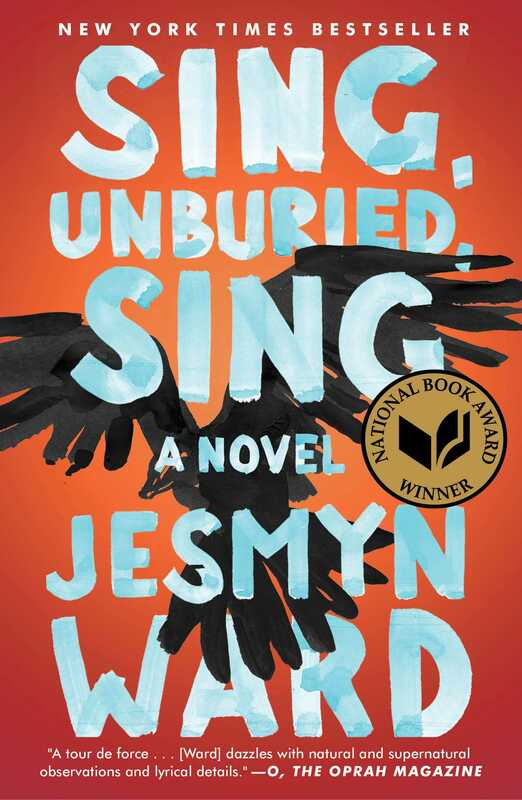 Jesmyn Ward’s complex National Book award winner, Sing, Unburied, Sing, lends itself to an alternative form of book review. She pens a tale that offers the reader rich treasures of myth, symbol, and folklore while building its story. Its plainspoken cast of characters, bedeviled by love and suffering, stumble along paths built on the shaky bedrock of racist history. Woven with gorgeous, often painful images, Ward’s narrative takes circuitous routes to reach her novel’s ambiguous conclusions. Ward’s tale focuses on a sensitive biracial boy, JoJo, who has grown up in the Mississippi Gulf Coast swamp hamlet of Bois Sauvage with his sister, (Kayla) Michaela. His Black drug-addled mother, Leonie, yearns for his White father, Michael, in prison for cooking crystal meth. She ignores her children while working a low-level job and taking drugs. His upright and loving maternal grandfather, Pop, wrongfully imprisoned in Mississippi’s Parchman prison as a younger man, teaches him how to take care of livestock and a homestead. His spiritual but practical grandmother, Mam, infused with Voodoo and Catholic ritual, takes care of him and his sister at home, mixing up folk remedies for pain and sickness from her gardens and woods. When Michael’s sentence is up, Leonie and a friend take the children to pick him up at Parchman prison in Faulkner-fecund Mississippi, far away from the Gulf Coast. Her mother, Mam, is dying of cancer, and Leonie leaves Pop there to take care of her. JoJo becomes his sister Kayla’s primary caretaker on the trip as he is at home, protecting her from her neglectful, conflicted mother. This road trip awaken demons in Leonie and her son. Leonie sees her love Michael as her only sun, the compass of her life, even though his White cousin shot her Black brother for winning a bet. In turn he loves her unreservedly despite his parents’ intransigent racism towards Blacks. Yet when high on the road trip, Leonie sees her dead brother constantly out of the corner of her eye, as JoJo suddenly starts to see Richie, a Black friend of his Pop’s who died at Parchman Prison years ago. JoJo’s travels north become a rite of passage, in which he has to follow the thread of Richie’s story to find his own way. After I absorbed this book, I tried to think of a way to review it without draining it of its heart and life. Following is the first poem I’ve written in years—it tells this story best because poetry expands when prose contracts. Sing, Unburied, Sing, opens the mind to existential flights of love and fury. His sickness is his wealth.